Meet Your Neighbor, Earnest "Chap" Chapin, born January 8th, 1933 in Burnside, to Everett and Ada Chapin. He is the third oldest out of two brothers and five sisters. 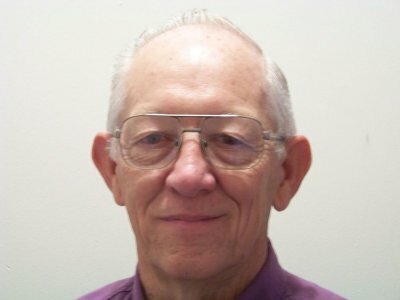 Mr. Chapin was a graduate of the Class of 1950 at Blandinsville High School, played football, basketball, as well as running track. After high school, Chap went in to the Armed Forces and served our country in the Korean Conflict. In 1975, Chap re-married and is still married to his wife, Bonnie. Between the two they have seven children. A great deal of Chap's working life has been in the grocery business working at stores in Blandinsville, La Harpe, and another fifteen years in Macomb before retiring. He serves as part-time help now at R & D Foods. Chap attends the La Harpe Methodist Church where he devotes a great deal of his time. He served on the Pastor-Parish Relations Committee nine years and currently serves as Chairman of the Administration Council. In talking about his life within the church, he said, "One of my most memorable moments in life came when I was baptized at age 35." When Chap has some free time from the aforementioned, he enjoys following the St. Louis Cardinals, St. Louis Rams, and Boston Celtics. Along with that, he also likes spending time with his family and babysitting his grandchildren.